Qmatic is a leading company in optimising customer experiences in the face-to-face customer touchpoints. Through their cutting-edge Customer Experience Management (CEM) platform, Orchestra, they harmonise the customer journey from online to real-world channels. From managing the customer journey to collecting customer insights from across a spectrum of customer interactions, Qmatic enables better customer experiences resulting in brand loyalty and superior customer satisfaction. 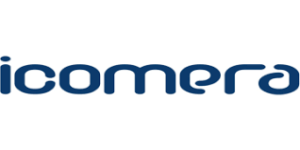 Established in 1999, Icomera is headquartered in Sweden with offices in the United Kingdom and channel partners worldwide. They launched the world’s first high-speed Internet solution for trains in September 2002 and is today the world’s leading provider of open internet connectivity and application platforms for passenger transport and public safety. Icomera’s award-winning products are deployed on rail, road and sea, serving more than 1 million Wi-Fi users every week in over 26 countries and providing high-speed access for fleet tracking and mission-critical on-board systems.